The Utah House of Representatives voted 65-9 in favor Tuesday of a bill that would square the riding practices of those using hundreds of e-scooters dropped on Salt Lake City streets last summer with state code. Utah law currently prohibits scooter ridership on roads with posted speed limits higher than 25 mph or more than four lanes wide — descriptors that apply to many of the streets where they’re commonly used. SB139 would change those provisions and create a framework for cities to regulate the new technology, said the bill’s House sponsor, Rep. Adam Robertson, R-Provo. Salt Lake City officials have created a one-year operating agreement to govern Lime and its competitor Bird, as well as similar businesses, and are working to create a more formal ordinance. Passage of SB139 could pave the way for the scooters to expand into other municipalities. The bill would regulate scooters similarly to bicycles and would remove the restriction for roads over 25 mph. It would also prohibit drinking or transporting an open alcoholic beverage while operating a scooter and operating a scooter with more people on it than it’s been designed for. 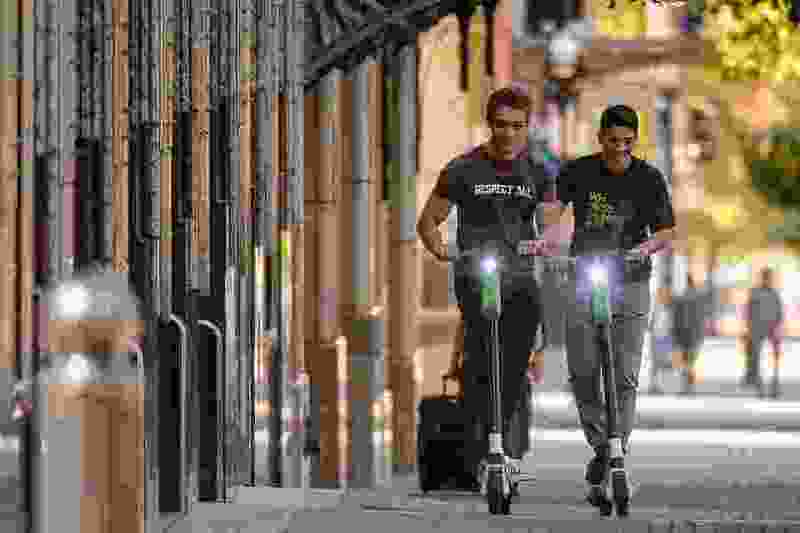 The scooter companies that currently operate in Salt Lake City, restrict ridership to adults 18 years and older, but the bill originally would not have allowed children 15 and under to ride private scooters without parental supervision. That age limit is now set at 8 years old and younger. But Rep. Andrew Stoddard, D-Murray, raised concerns about that portion of the bill, citing safety concerns. “I do think it causes a great amount of problems that we’re allowing potentially these young kids to operate these motorized vehicles without any sort of supervision,” he said, though he ultimately supported the bill. Salt Lake City officials have noted that the biggest problem they’ve faced in regulating the scooters is users riding on sidewalks, which is prohibited and would remain so under SB139. But Rep. Merrill Nelson, R-Grantsville, worried the bill didn’t go far enough to prevent sidewalk ridership. Robertson said there are several provisions for safety within the law, including language that would prohibit someone from operating a scooter so as to collide with a pedestrian. He also noted that since the scooters will be regulated similarly to bicycles, signage indicating where bicycles are not allowed would also apply to scooters.